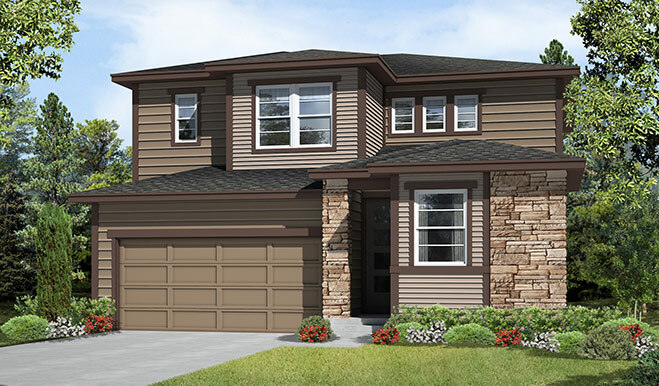 A covered front porch and dramatic two-story entry welcome guests to this new model home. Off the entry is a private study with elegant French doors. At the back of the home is a spacious great room with tile fireplace, a dining area and a gourmet kitchen with an alternate island, walk-in pantry, stainless-steel appliances and a double oven. You’ll also appreciate the cheery sunroom with covered patio. The upstairs boasts a loft, a laundry with cabinets and a sink and three inviting bedrooms, including the master suite with a coffered ceiling and walk-in closet. The finished basement has a rec room and ¾ bath.